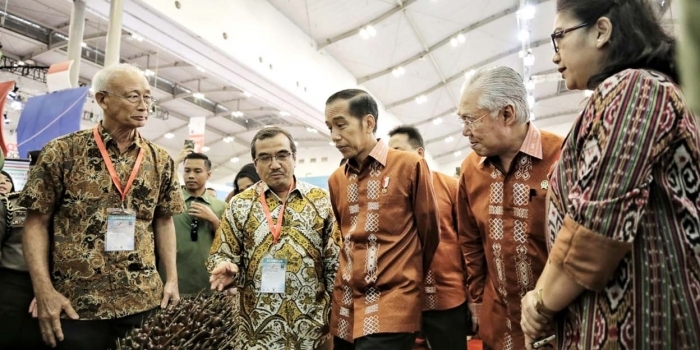 RGE companies APRIL Group and Asian Agri are among the founding members, which include leading forestry and agricultural companies Musim Mas and Wilmar. These companies are joined by non-governmental organisations PM.Haze, Rumah Pohon and IDH. 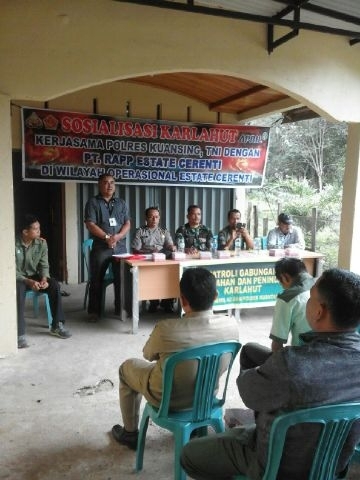 Above: Coordinating Minister for Political, Legal and Security Affairs Luhut Binsar Panjaitan expresses support for the Fire-Free Alliance and the implementation of the Fire-Free Village Programme. 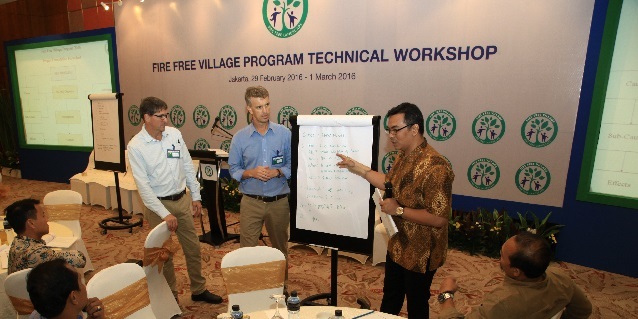 The FFA aims to implement the Fire-Free Village Programme (FFVP) across the broader landscape. Piloted in 2014 by APRIL Group, the FFVP was later launched with nine participating villages in 2015. On the back of promising results and growing support from government, communities and NGOs, the FFVP was expanded in 2016 to include 20 villages and an additional 55 villages under the Fire Aware Community programme. Above, APRIL Group Strategic Fire and Protection Manager Craig Tribolet shows a snapshot of APRIL Group’s ongoing efforts in community engagement to raise awareness in fire prevention. Below, the APRIL team continues to work closely with authorities in improving fire management. 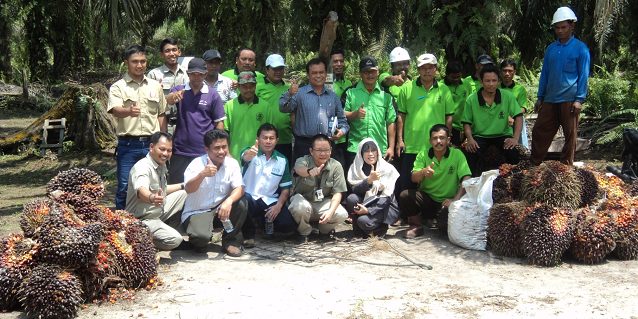 In the wake of the Riau government’s early state of emergency declaration 7 March 2016 (more on TODAY), APRIL Group’s Indonesia operations PT Riau Andalan Pulp and Paper (RAPP) not only stands by with 700 trained and fully equipped fire response personnel across 12 estates, but continues to ramp up communications and fire awareness campaigns with its partnered communities under the FFVP. Cooperation between all parties is key to solving the root problem of land and forest fires. As part of its multi-prong approach to preventing fires, APRIL Group has identified and adopted best practices in land management and water management. The formation of the FFA comes at a right time for co-founding member Asian Agri. The palm oil producer has long developed its fire prevention and fire management programmes in close collaboration with its smallholder communities, the local government and other stakeholders. 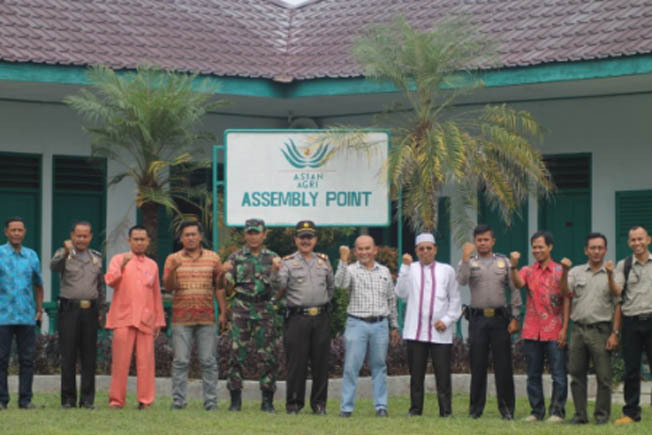 The FFA allows Asian Agri, one of the pioneer and largest corporate partners of plasma palm oil smallholders in Indonesia, to share and evolve best practices in ground-up fire prevention. A robust fire prevention programme with incentives goes hand-in-hand with its existing smallholder engagement programmes, which have played a significant role in improving productivity, raising and diversifying incomes, resulting in better living standards for smallholder communities. 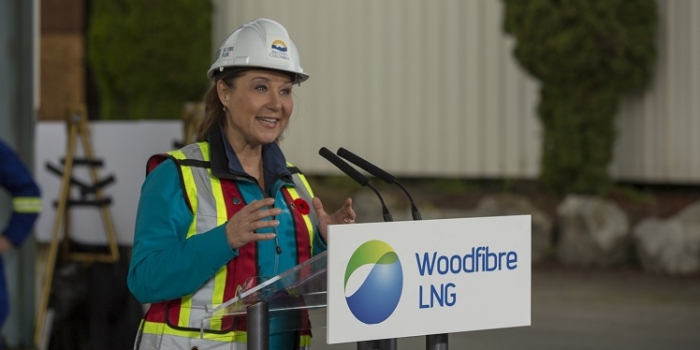 With greater community awareness and the introduction of incentives to enhance public facilities and infrastructure, the company looks forward to the positive impact of the programme on its communities, the country and the environment.